It is in *excellent* condition. 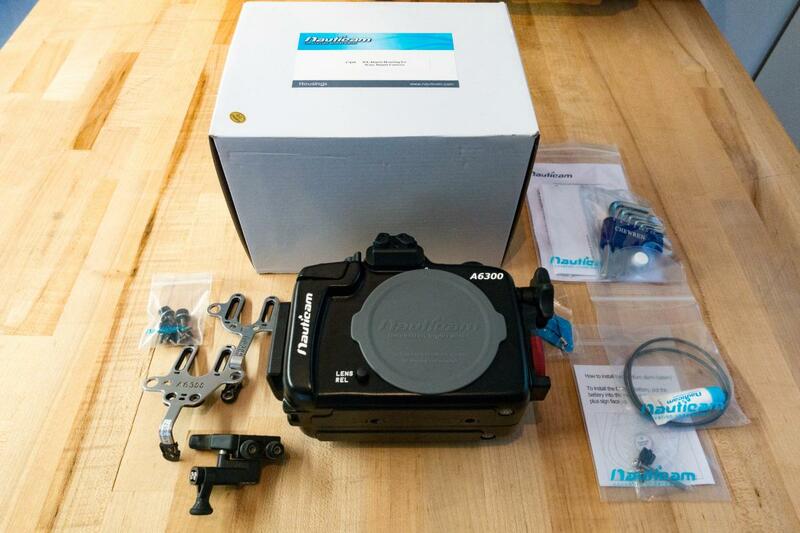 You can configure it with standard Nauticam ports and gears for your lenses. These are readily available at Backscatter or Reef Photo. I bought it June 2016 and used it one dive trip. It never leaked because I have been an underwater photographer for over 30 years and take immaculate care of my gear. I am the original owner. This unit was $1650 new. I'm offering free shipping to Continental U.S. only. Bids close on this Sunday 11:54 AM Pacific time.